I really like all kinds of pepper jelly and have had many through the years! Anymore there seems to be all kinds of ways to use the "heat" of jalapeno peppers with the sweet of the fruit. 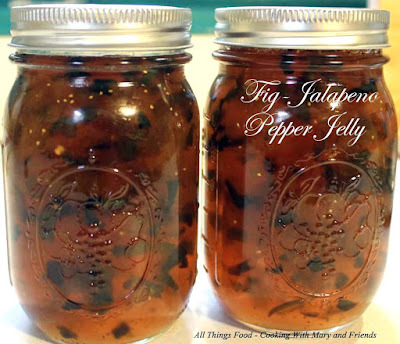 In this instance I had Bell Peppers and Jalapeno Peppers from our Kitchen Garden, and Fresh Figs from my friend Lynn, at Southern With A Twist, so I made Fig-Jalapeno Pepper Jelly. Oooo laaa laaaa! 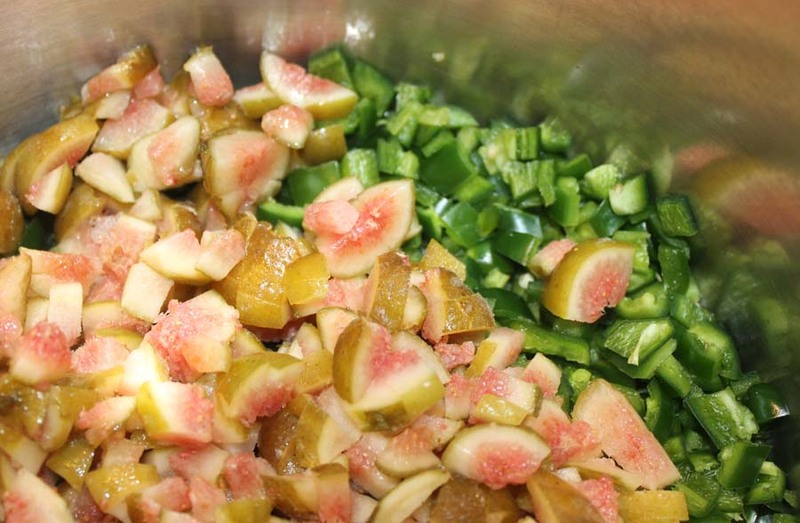 The heat from the jalapeno peppers marries so well with the sweet of the bell peppers and figs. I cheated and tasted a bit that fell to the counter top as I was filling the jars ... oh ya, it's a keeper! Makes a great holiday gift for family and friends! Mix first six ingredients together in a large stock pot; heat on high to med-high heat until mixture comes to a boil; stir often to prevent sticking and cook 2-3 minutes. Add sugar all at once and return to a rolling boil for 1 minute. 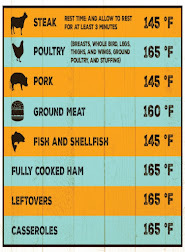 Remove from heat and pour in sterilized jars. Process jars 10 minutes in boiling water bath. Remove from heat, remove jars and let sit on a dish towel on your counter-top to cool and lids seal. Once lids are sealed (middle button on top of jar lids is completely depressed. Gently shake jars from time to time while cooling to evenly distribute diced pieces throughout the liquid while mixture is jelling. Serve over cream cheese on crackers.